It (definitely) tops last year’s (Anniversary Party). Weve got a few secret features being added for the anniversary, so keep an eye out. This definitely sounds very exciting! The party begins tomorrow, it’s pretty amazing how short ago last year’s feels. 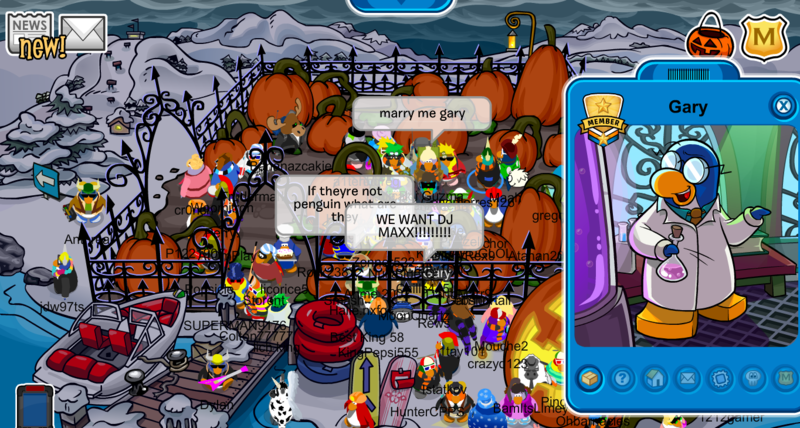 A new edition of the Club Penguin Rewritten Times has been published, containing the Halloween contest igloo winners, information on the storm, submitted content and much more! For the best experience, I would suggest reading the paper for yourself online, especially to check out some of the amazing igloos which there were more than 16,000 entires for! Twenty igloo winners out of 16 thousand have been picked, with them all receiving a large number of coins and an exclusive postcard! 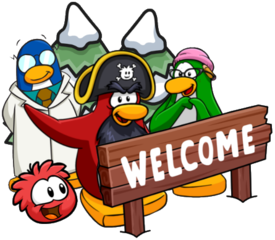 The Wilderness Expedition ended a few weeks ago, and during the party, penguins could adopt their own brown puffle! These are now on sale at the Pet Shop! You can purchase a Brown Puffle at the Pet Shop today for 800 coins, which means that the Puffle Catalog has been updated! This was just a quick post to inform you of this, thank you very much for reading! 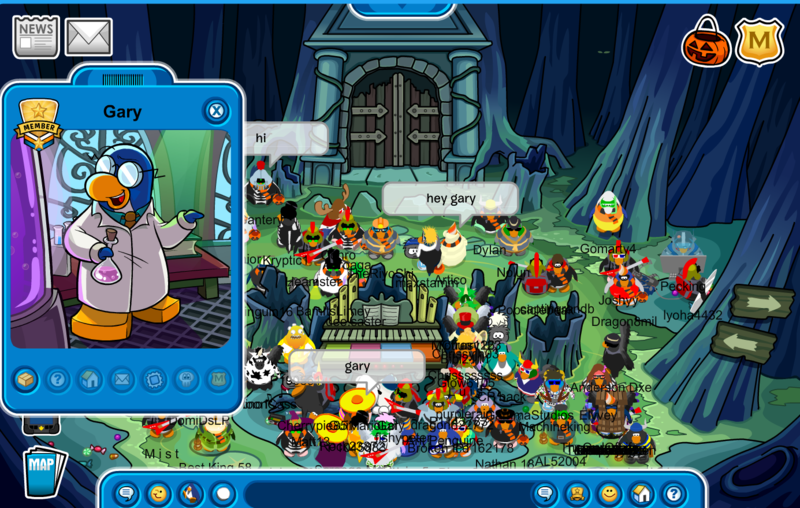 The 34th edition of the Club Penguin Rewritten TImes has been published, containing details on yesterday’s Anniversary, Halloween, the storm and some memories about the last few months on the island! For the best experience, I would reccommend reading the paper online, but I will still try to summarise some of the information in this paper! Thunder and lightning might be visible across the island too! There was also a recap on this year on Club Penguin Rewritten, as well as lots of cool artwork and other submitted content! Be sure to check out the paper online, thank you very much for reading! A new code has been released on Club Penguin Rewritten to celebrate the 12th Anniversary! It unlocks a shirt of the beta hat and the code is CPBIRTHDAY. 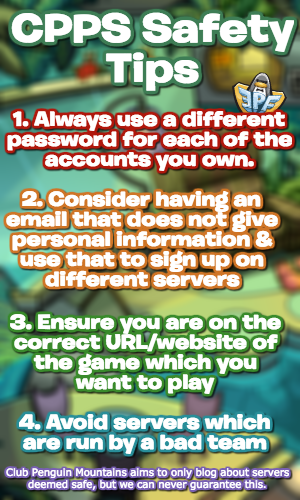 To redeem this code, on the server page, click “Unlock Items Online”, “I have a Code” and then enter the code! The shirt will be added to your inventory, but be quick, as this code might expire very soon. 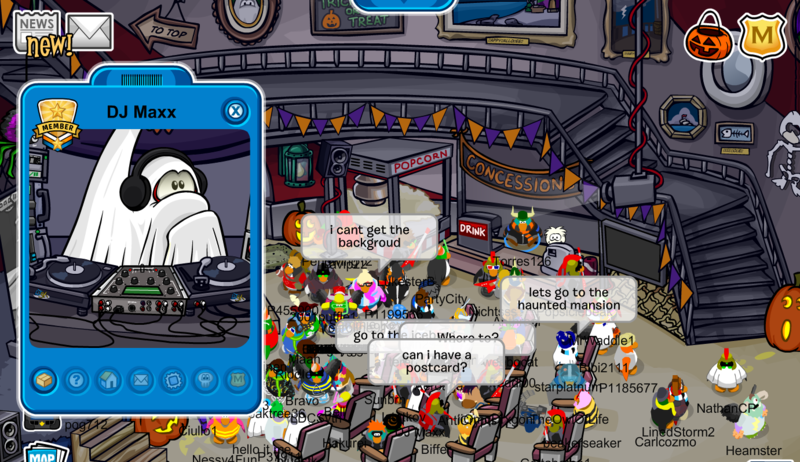 Also, in celebration of the anniversary, one of the administrators will be hosting a party at his igloo later today! By the time you read this, the party might be over, but there have even been rumours of mascots possibly attending. 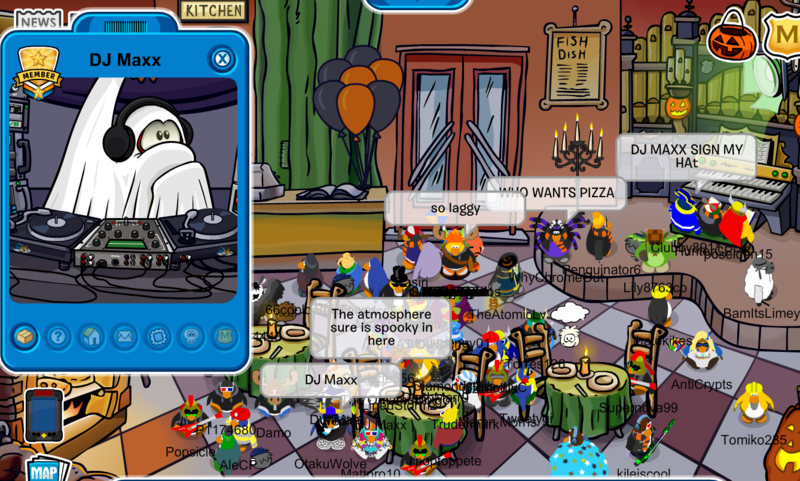 The 12th Anniversary Party has begun on Club Penguin Rewritten and will last until the 24th! The Coffee Shop has been entirely redecorated, and it’s now even possible to tip the Iceberg! This is the decorated Coffee Shop. It’s completely amazing and custom-made, including the fabulous cake that uses the colours of previous party hats! In fact, there’s some really cool animations too, such as when you click the paper cup. Also, you are unable to blow out the candles on the cake to earn the stamp, but you will be able to do so when it’s the Club Penguin Rewritten anniversary. However, if you click the little orange box on the floor, you’ll be able to see all the 12th Anniversary Party Hats! To pick one up, simply click the box again! It’s got a really nice orange theme to it! The other huge feature of this event is the ability to tip the Iceberg! It takes many drillers to drill on the Iceberg and there’s no known exact method to make it tip, but with enough penguins, the iceberg will flip over! It will reveal a dance floor, but the note is not present. Underneath the Iceberg is the free “Blue Torque” item. To obtain it, simply click the item by the speakers on the right. The rain of the storm has also been removed due to the large amount of lag which it caused., along with some other music changes to celebrate the Anniversary! I really love this Anniversary Party, a lot of it is custom content that seems so cool! I’m also really hoping that some mascots log on soon, however Gary is confirmed to visit this month. The event ends on October 24th, so be sure to log on before then. Thank you very much for reading! Club Penguin Rewritten: Storm Begins! Rainfall has begun all over the Club Penguin Rewritten island, with many puddles forming and even the Cove fire being put out! All the indoor rooms have bright lights to light up the island on! The storm clouds have also made the island look super beautiful at night. There’s also a new, more modern, soundtrack for the Town. There’s also a free item in this party! If you waddle to the Ski Village, you will find an umbrella by the Ski Lodge. Simply click it to obtain the Cosmic Umbrella to keep you dry during this storm! Overall, the island looks absolutely amazing, I wish the storm was a permanent thing! Be sure to check it out this week before Halloween begins on October 25th! Thank you very much for reading!